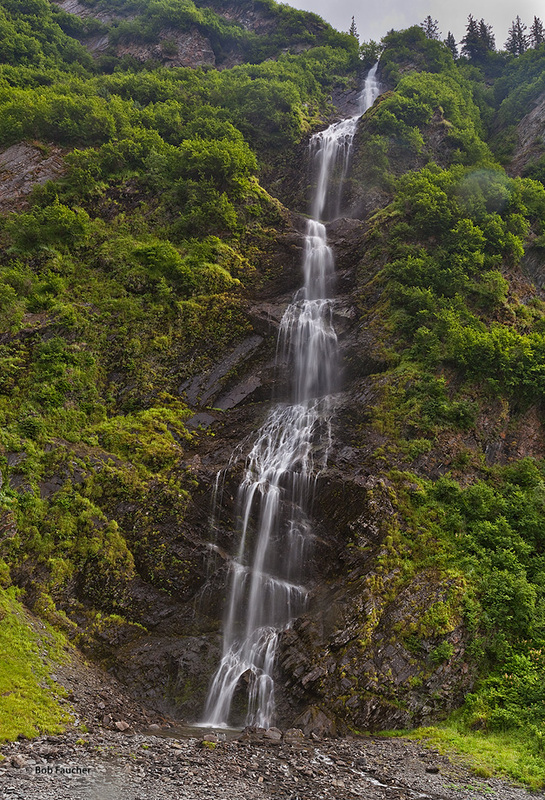 Bridalveil Falls plunges down the wall of Keystone Canyon along the Richardson Highway, the entrance to Valdez. This is one of the longest, fattest, and most accessible ice climbs along Keystone Canyon. At 4.5 pitches and 800 feet of quality ice, it is remarkable not only for its size and beauty, but also for the fact that it is neatly divided into a series of pillars and terraces, with good stances or even caves at each belay. Photo © copyright by Robert Faucher.